Over the years I have heard of different food and drink challenges taking place around the lower mainland but I never looked into them let alone participated. Until this year when I checked out the Vancouver Foodster website to see what he had going for 2018. There are a lot of different challenges offered throughout the year but one of the many that jumped out at me was the #cookiechallengeYVR. 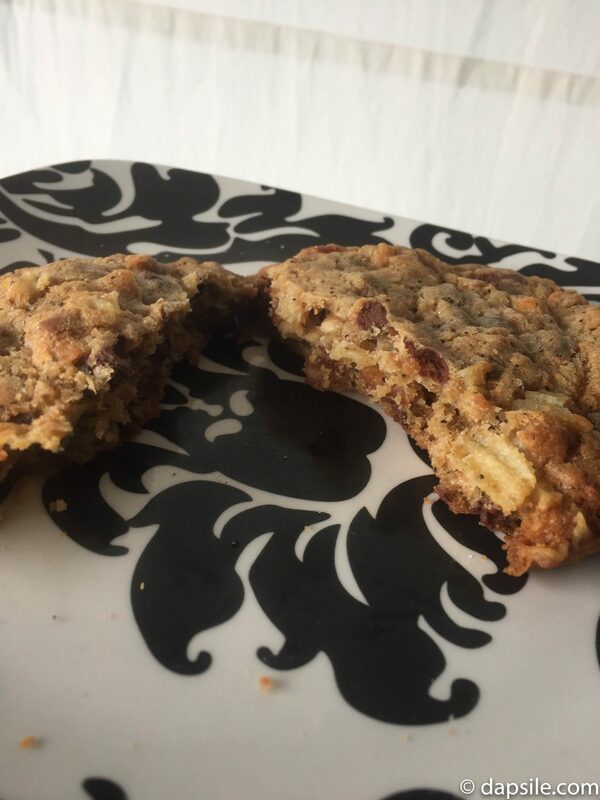 The cookie challenge of 2018 seemed like a wonderful first to try. 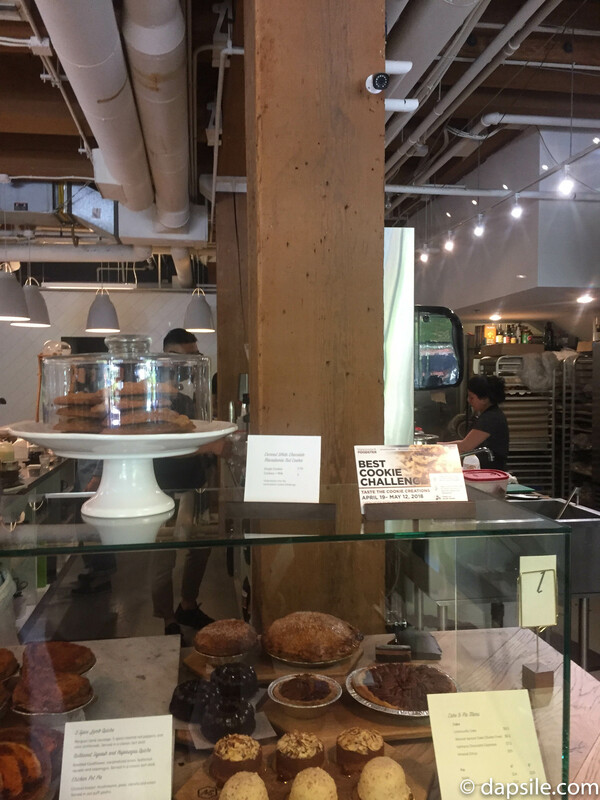 I not only enjoyed all the cookies offered for the challenge but I found some great new bakeries and eateries around the Vancouver area. You can read all the official cookie descriptions here as well as find links to each company’s social media. 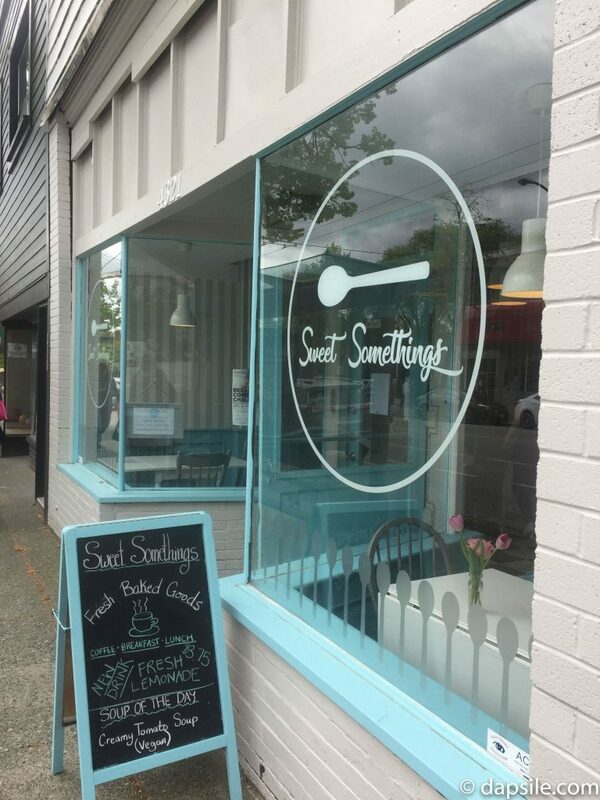 I have driven past this bakery in New Westminster for years but unfortunately never took the time to stop and see what they made. 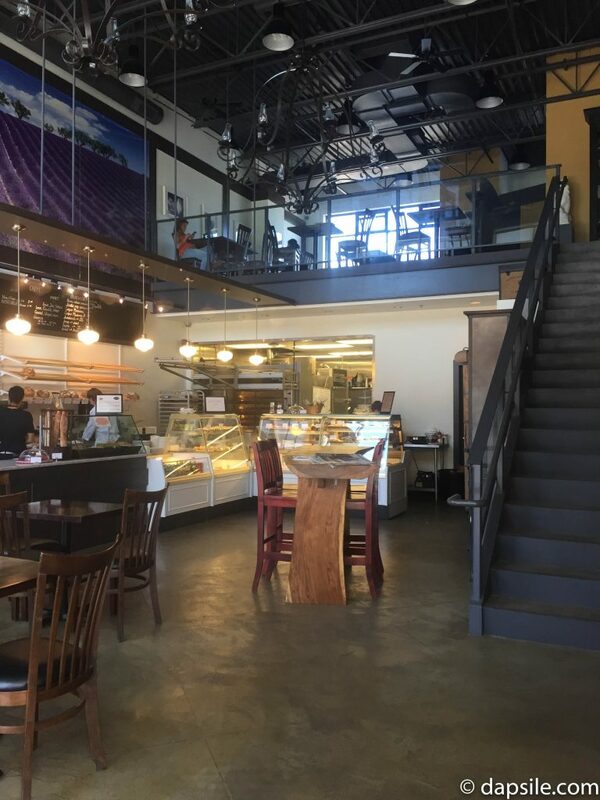 Fratelli’s offers a great selection of different breads, cookies, squares, cakes and other wonderful products to enjoy. Their cookie challenge participant is an Almond Apricot Empire Cookie. 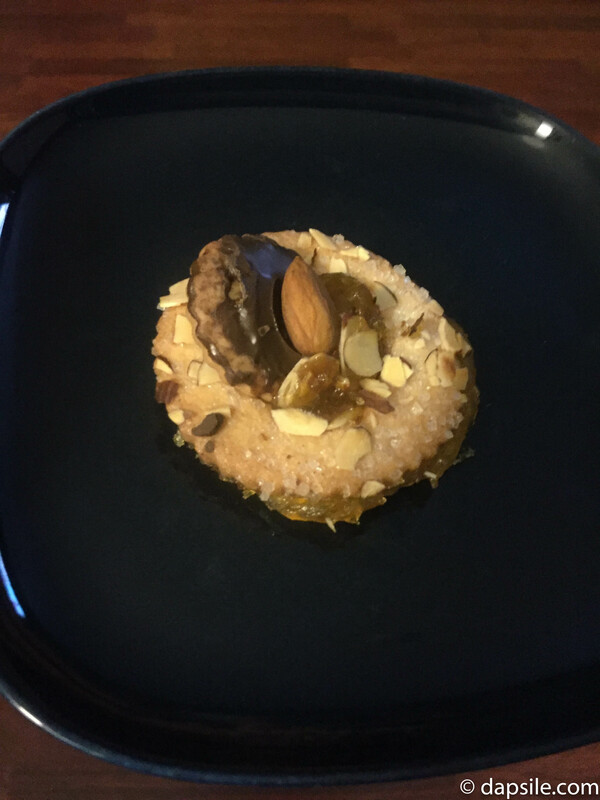 The cookie is crunchy with sliced almonds, sweet apricot jam and an additional mini cookie with chocolate. I hate apricots so I wasn’t sure about this cookie but everything mixed together so well I enjoyed it. I also tried and enjoyed their Triple Chocolate Cake. It kind of speaks for itself with that name. 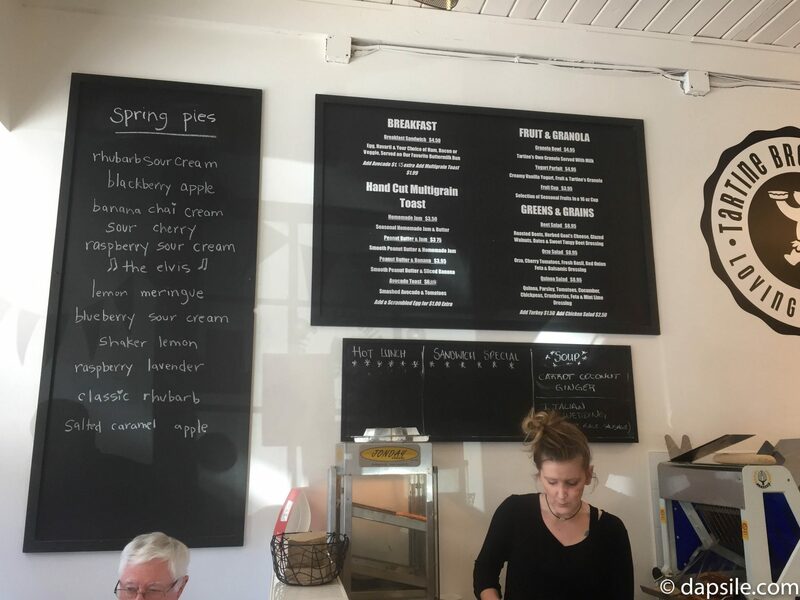 I don’t go to White Rock often, maybe a little more now since I found my favourite hot chocolate ever, but I’m happy to also have a great new place to go, eat, and take some baked products home with me with Laura’s. I went there on a sunny Thursday in the middle of the afternoon and it was super busy. So, I guess I’m not the only one that liked this place. 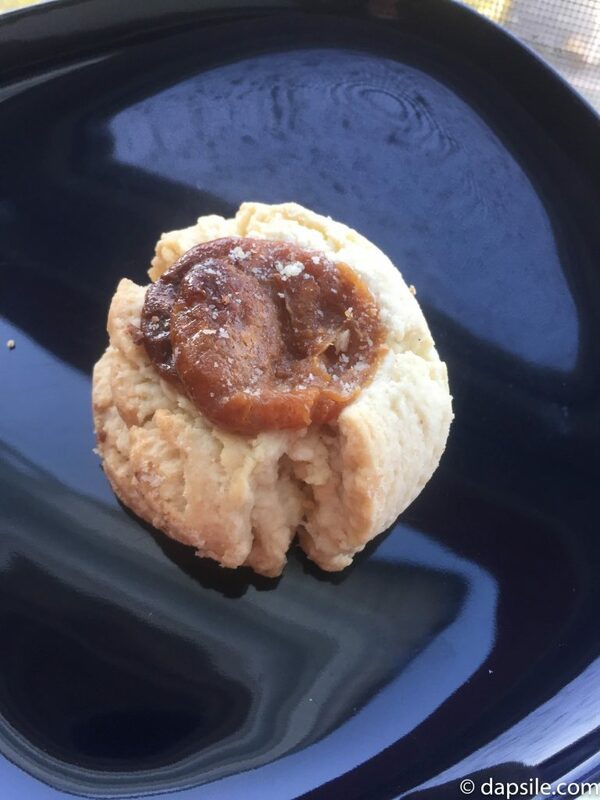 Laura’s went tradition for the cookie challenge and offered a Dulce De Leche Shortbread Cookie. It was probably the best shortbread cookie I can remember trying that wasn’t homemade. 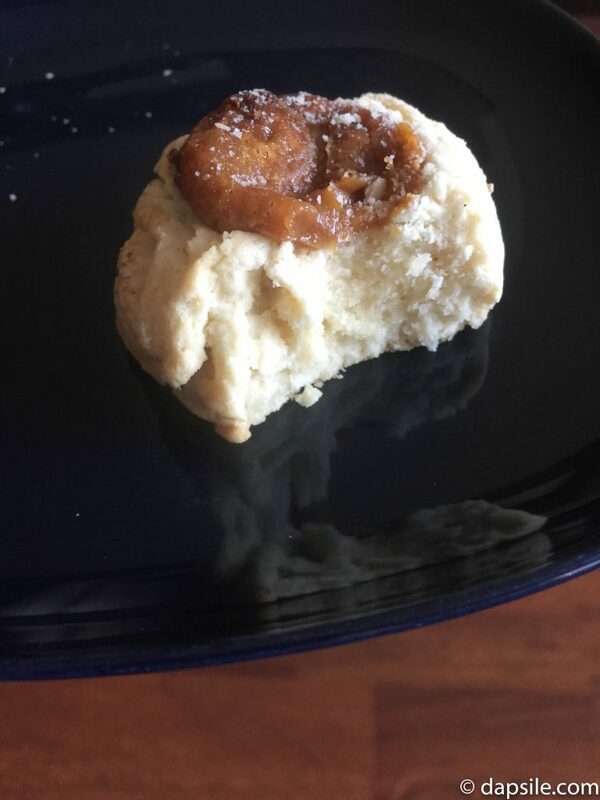 The chunky cookie wasn’t overly buttery and had the added benefit of the dollop of sweet dulce de leche on top. It created a nice treat. I also tried, and very much enjoyed, their Hot Chocolate Cookie (soft, chewy, chocolatey and even had melted mini marshmallows on top), as well as this square I can’t remember the name of. It was a perfect mix of flavours and textures with a shortbread base, a layer of dulce de leche, and then topped with chocolate ganache. 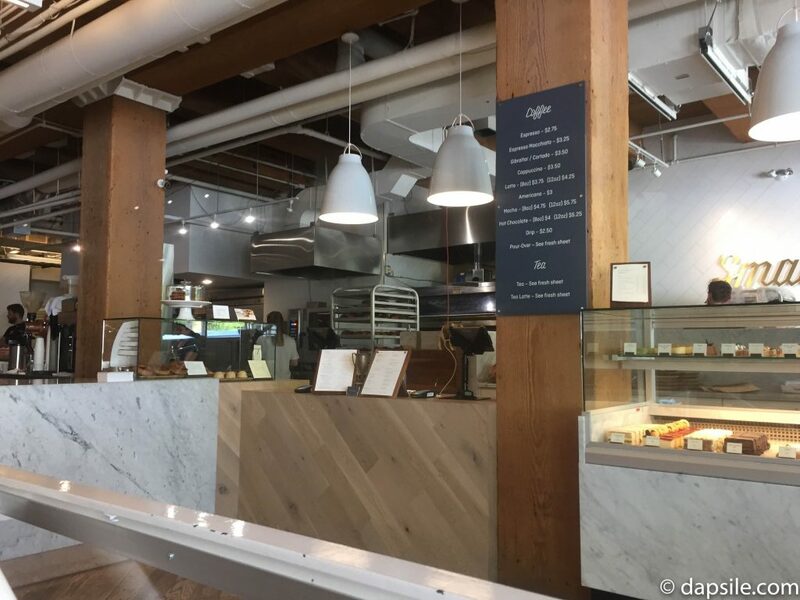 I went to the Davie Street location of Tartine on a Friday at lunch time, they were very busy. Another place I never would have visited before, mostly because I’m not downtown often, but will now be visiting again. 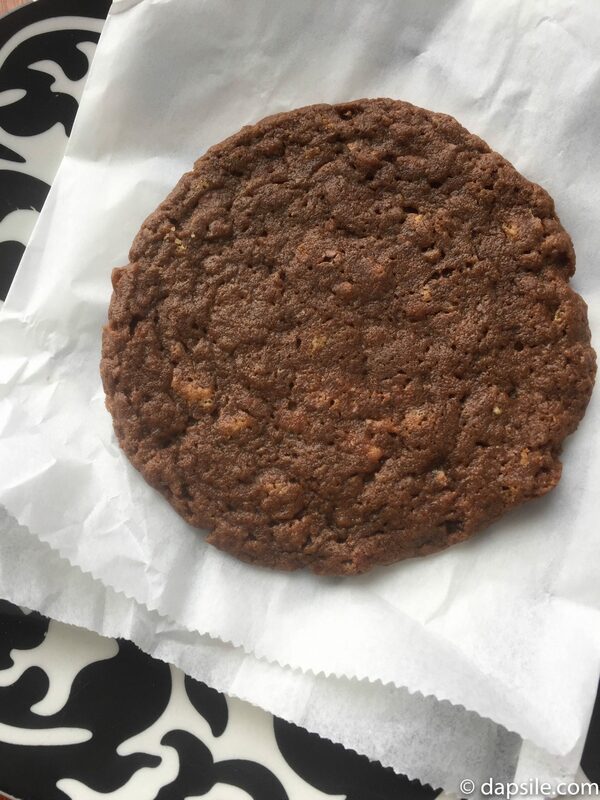 Going out of any, and almost every, comfort zone, Tartine shared a Mystery Cookie for the cookie challenge. It was sweet, salty, crunchy, and soft, with such a wonderful assortment of textures and flavours. 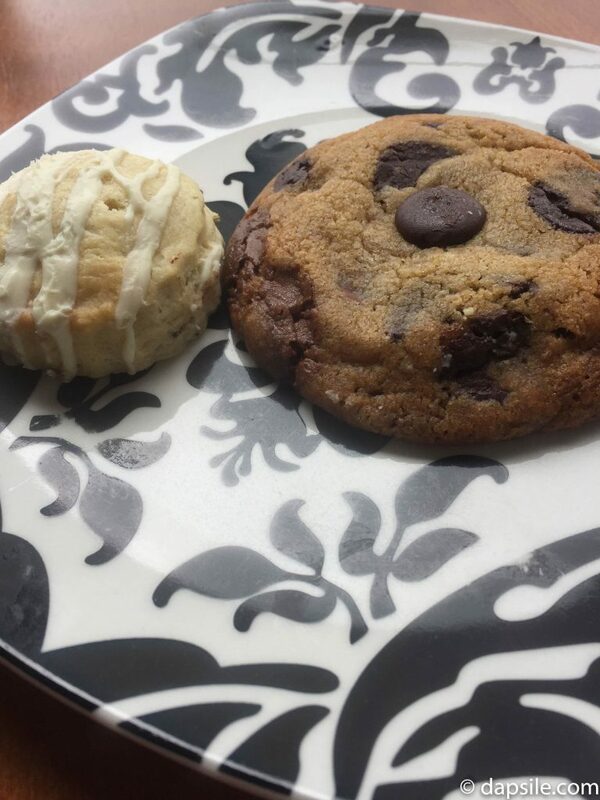 Not lying, I ate that big cookie and it is still a mystery as to what I exactly ate. Here are items I know were in it as well as some of my guesses. Nuts, chocolate, potato chips, cereal?, coconut?, coffee?, black pepper?. I might not know all the ingredients used but I do know it was a constant, surprising treat for my taste buds. 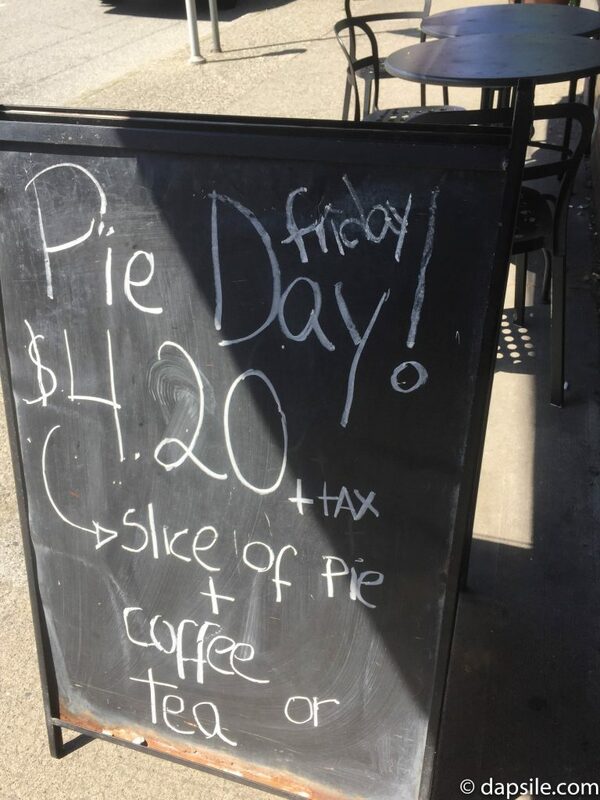 While I was there it was Pie Day so I decided to take part. I went out of my comfort zone to try the Raspberry & Lavender Pie. 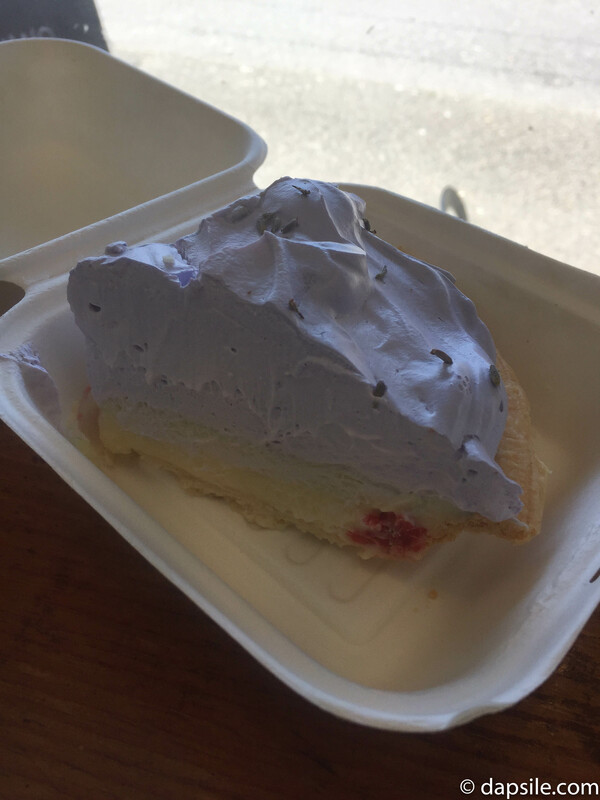 It looked so amazing that even though I only eat apple pie and don’t like cream pies, I went for it. I’m happy I did, the flavours worked so well together. 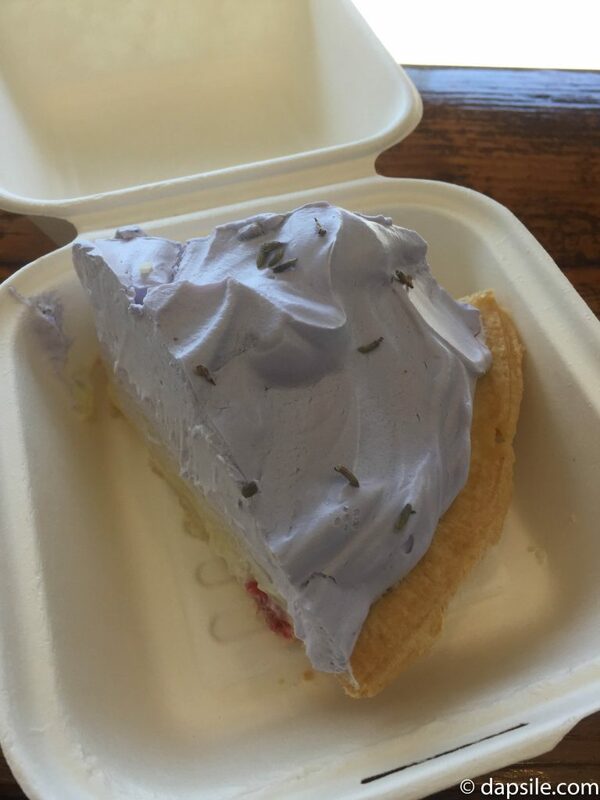 The lavender was subtle and the raspberries gave great shots of tart sweetness. This eatery looked great and I will have to go back to try more of their food. It had such a warm feeling with its trendy look and open style ceiling. Small Victory also went kind of traditional for the cookie challenge with their Coconut White Chocolate Macadamia Nut Cookie. 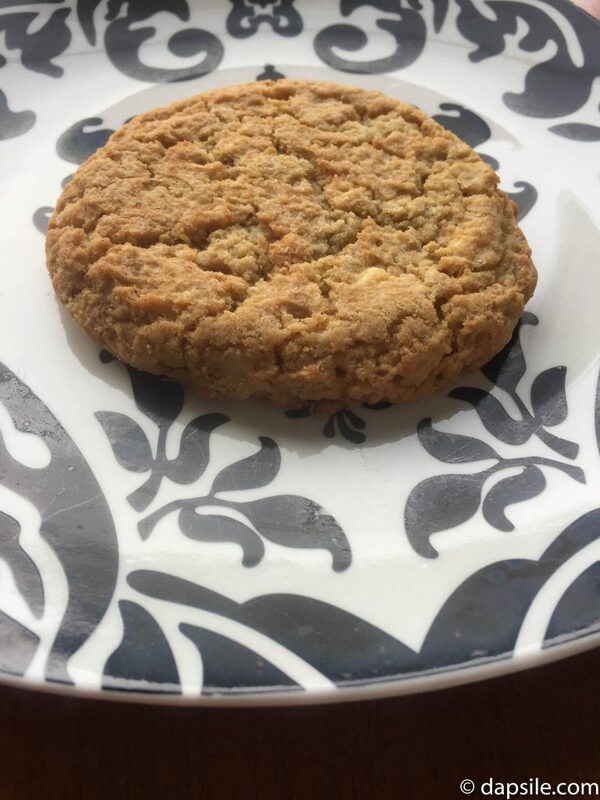 The cookie was crunchy on the outside with a soft texture inside and it had a nice subtle mix of ingredients. I don’t remember the coconut and the chocolate was minimal but the nuts were more obvious. It was a subtle but nice mix that made the cookie less sweet than others. 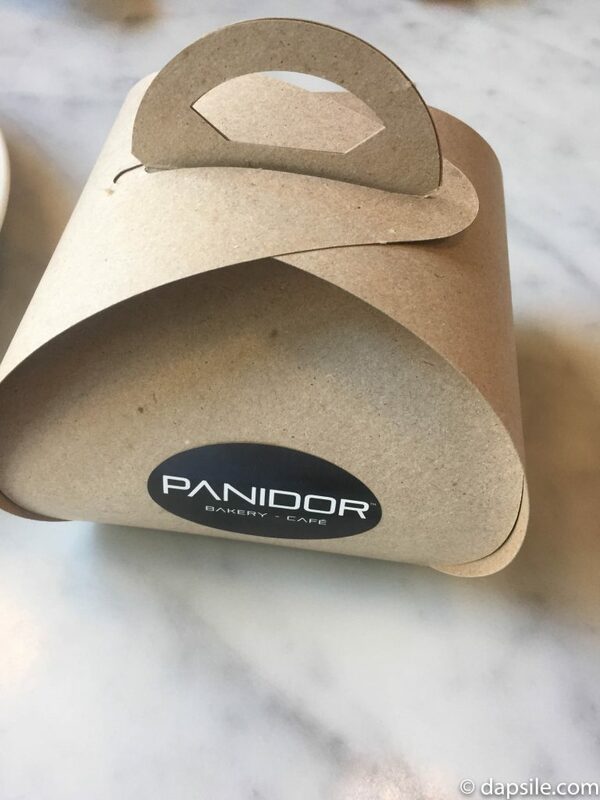 Panidor is new but I’m glad they took part in the challenge so I could find them. I was only able to pick-up their cookie (two different ones actually) that day but I want to go back for more treats as well as one of their sandwiches. The sandwiches looked delicious and the baked products looked like works of art. 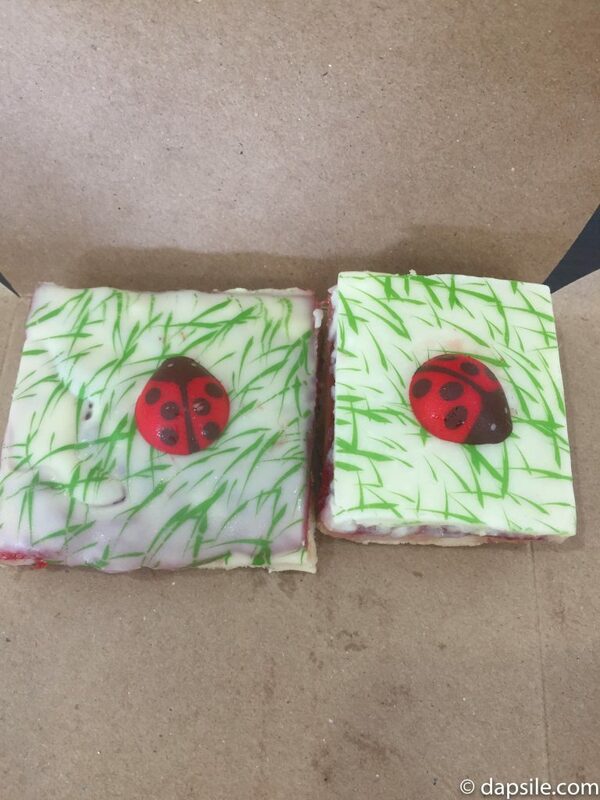 The Ladybug Bite is the work of art Panidor created for the cookie challenge. 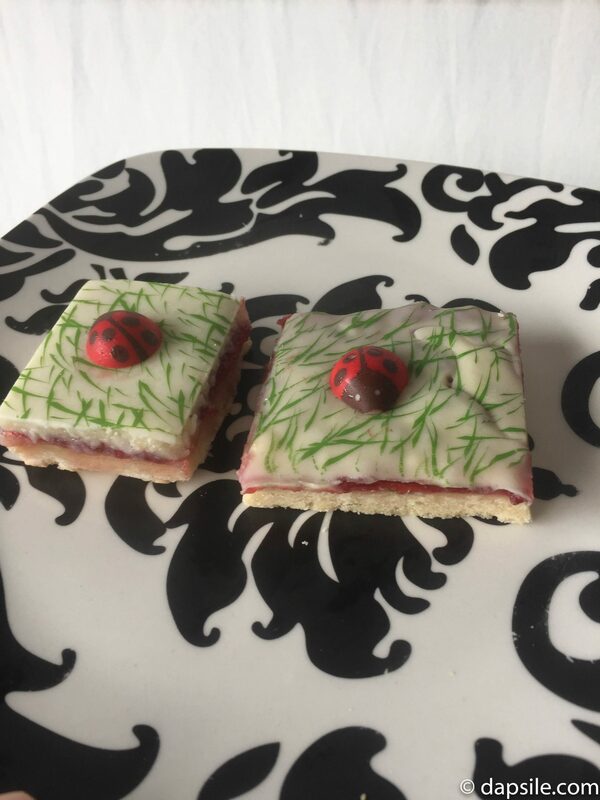 It looks amazing and tastes just as good with its cookie base, layer of sweet jam, and topped with white chocolate ganache decorated to look like grass. Oh yah, and a cute white chocolate ladybug. There were two different options though. I’m not quite sure what the difference was in words but you can see in my pictures that one has a thicker topping. Even though they both tasted good, I preferred the one with the thin layer on top of the jam. I would have to use words like different, decadent and addictive to describe the Half Baked Cookie Co products. I was even a bit overwhelmed with the products and forgot to take pictures of the bakery. 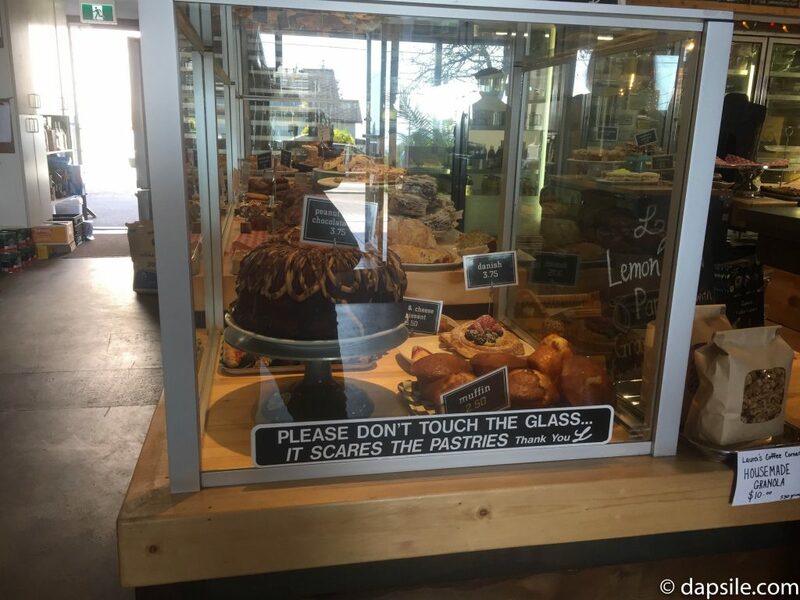 They call themselves a micro-bakery and their shop is a small space. It means you can see all the ingredients and watch them work while you are enjoying everything. A really interesting product is the assortment of different flavoured shortbread cookies in individual glass jars on the counter. I tried both the cheddar cheese as well as the rosemary & brown sugar cookies. My brain was so confused. My taste buds were so confused. But all in a good way. 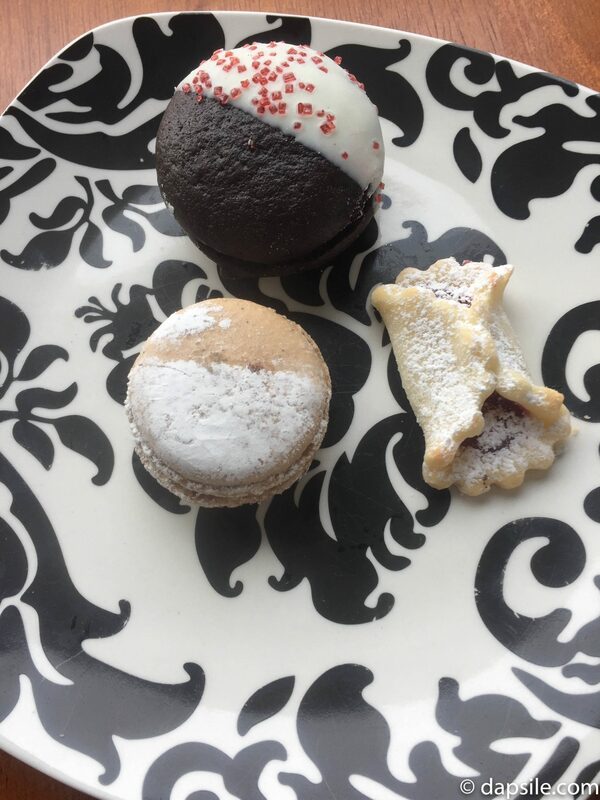 The shortbread expectations of my mind mixed with the reality of the savoury flavours was an amazing experience. They had shortbread that was sweet, savoury, and also a matcha one. 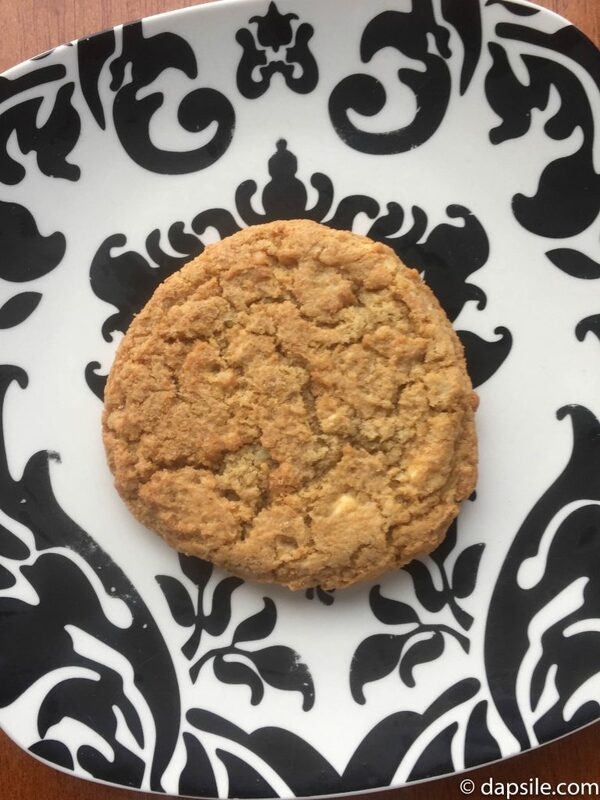 The cookie concoction offered by Half Baked Cookie Co for the cookie challenge is the Malaysian Malted Cookie. It is crunchy, soft, chocolatey, buttery, thin but a large diameter, and even contains Milo. 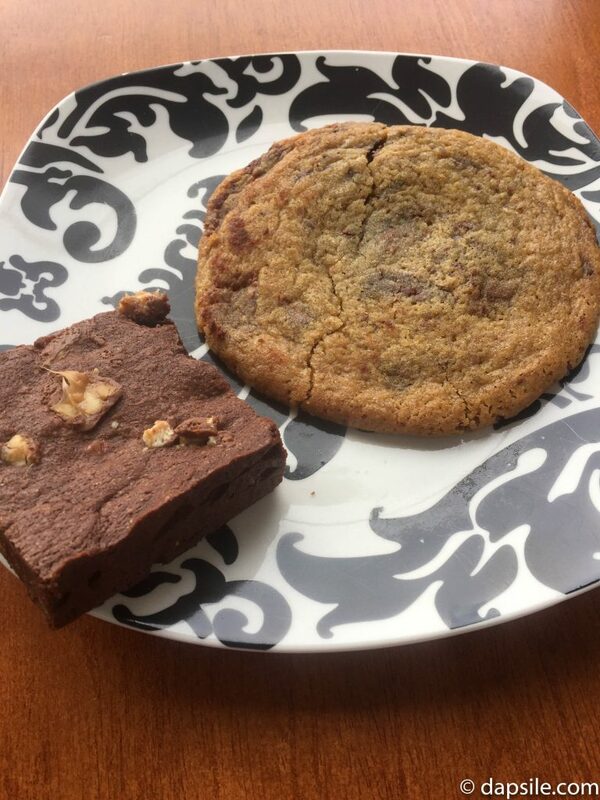 I decided to also try the Chocolate Chip Cookie (soft, chewy, and chocolatey) and the Snickers Brownie (so super rich and chocolatey, it almost melts in the mouth). 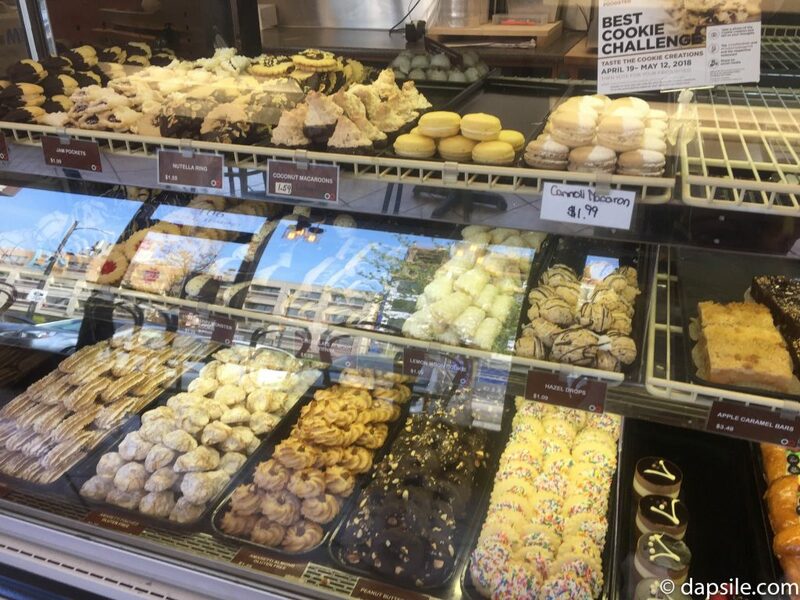 Italia Bakery also offers more traditional Italian baked treats, which other than trying my first cannoli last year from their Cannoli King Food Truck, are new to me. 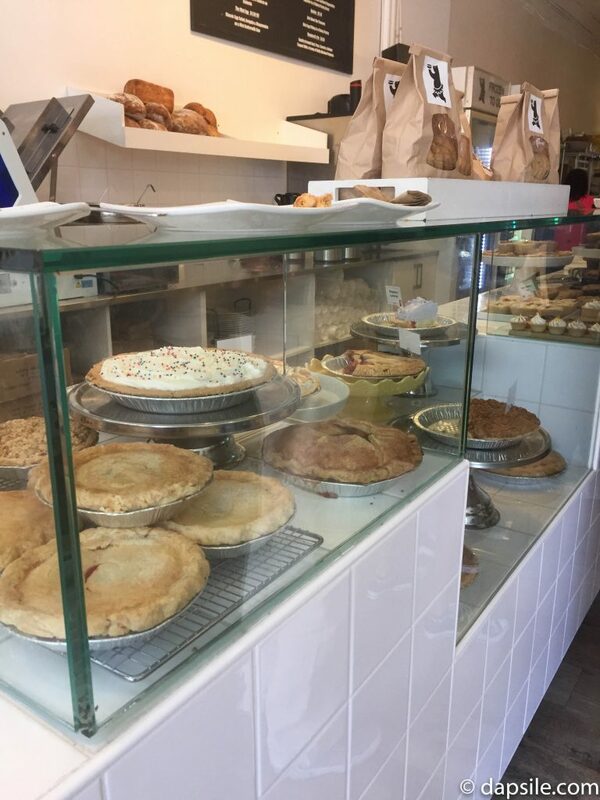 It’s a large, busy bakery that surprise, also makes a lot of cannoli’s. 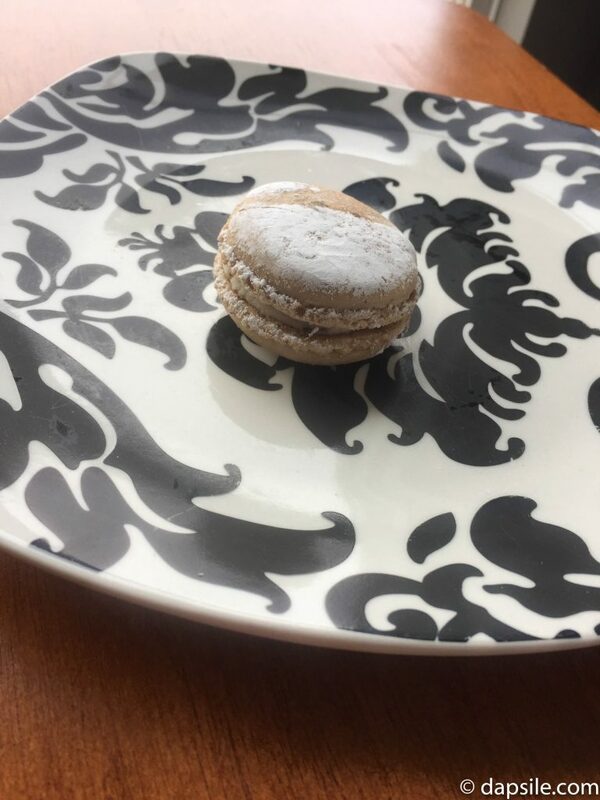 So, it’s not too much of a surprise that Italia Bakery made a Cannoli Macaron for the cookie challenge. I found it to be soft, sweet and very flavourful with the two cannoli flavoured sides and a centre of mascarpone and cream cheese. Apparently, there are also almonds and chocolate chips in the filling but they did an amazing job of grinding those up enough that I didn’t even feel them or separate those flavours. 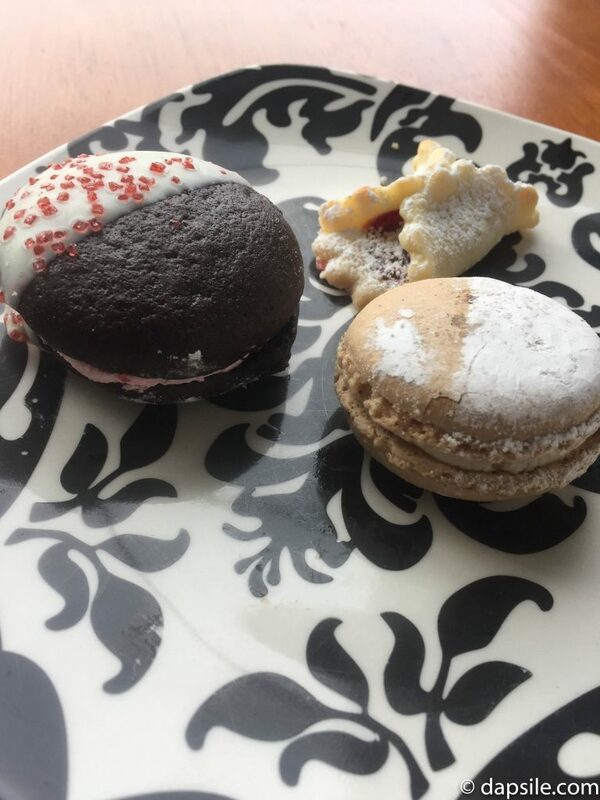 I chose to also try a small Jam Filled Cookie (I didn’t really enjoy the thin layer of jam that was actually chewy) and a Chocolate Strawberry Monster Cookie (two soft cake like cookies with a strawberry icing filling that wasn’t overly sweet and a melted white chocolate coating on half the entire cookie). This is a really cute little, pastel coloured, shop that serves food, baked products, chocolates and artisanal coffee. I didn’t stay to eat but I did bring home a few other baked products to try. I made a special trip to visit them and while I really wanted to try the fresh lemonade, I forgot by the time I got there. Next time! Sweet Somethings went with something they know with a twist, for their cookie challenge offering. 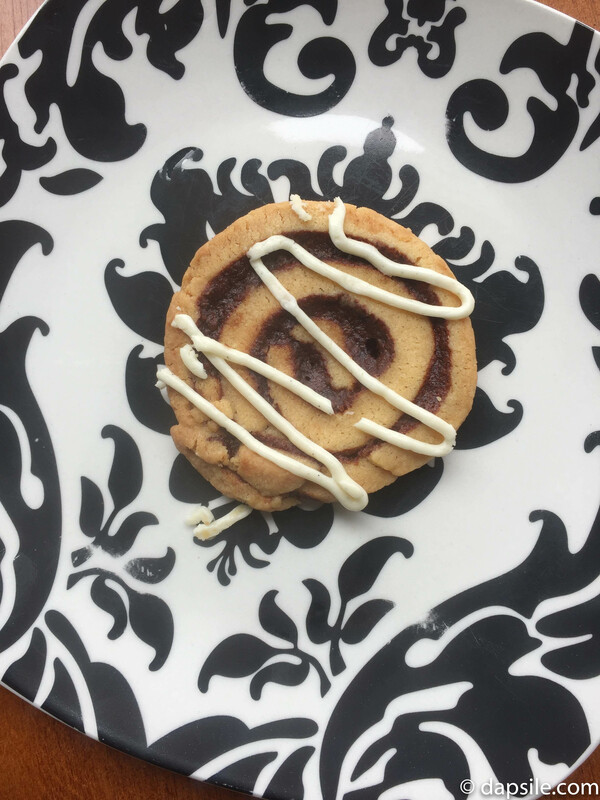 The Cinnamon Bun Cookie is based on their most popular baked product. The cookie looks like a pinwheel style cookie. 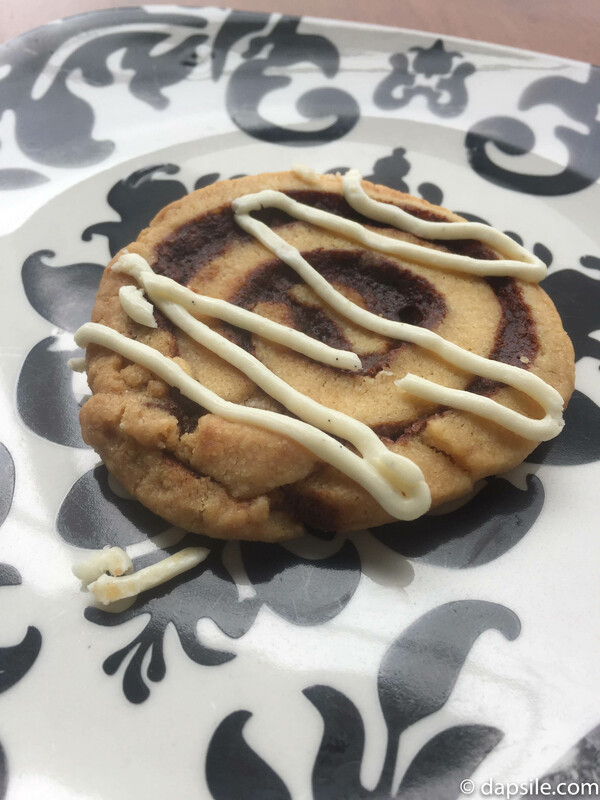 To me it tastes like a sweet, crunchy, shortbread cookie base with twisted strips of a cinnamon filling and topped with soft cream cheese piped on top. The flavours all blend really well together to create a good cookie. I decided to try one of their cute little scones and went with the White Chocolate and Lavender Scone (The lavender is quite obvious – almost overwhelming – in contrast to the white chocolate which is almost hidden its so subtle. The scone itself is a really nice buttery, soft texture). 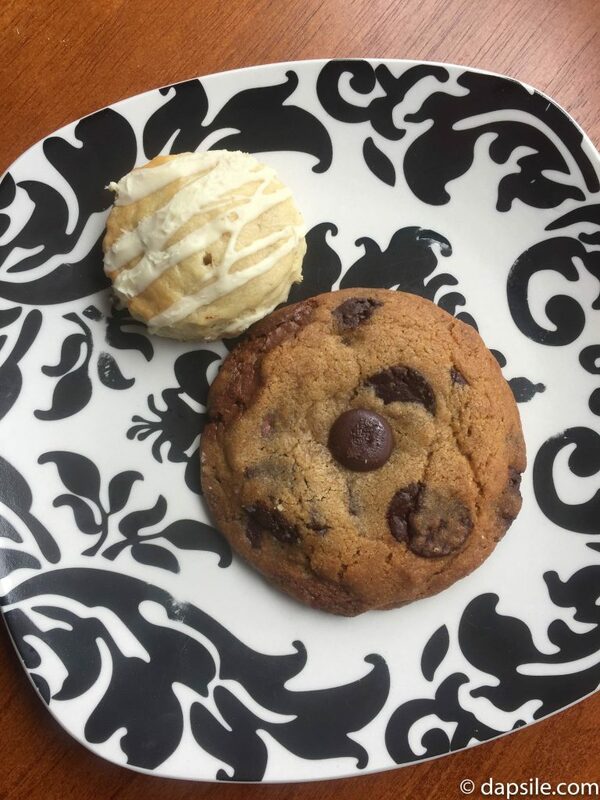 Plus I had the Vanilla Bean Chocolate Chip Cookie (crunchy on the outside but soft on the inside, this cookie contains lots of very rich dark chocolate). 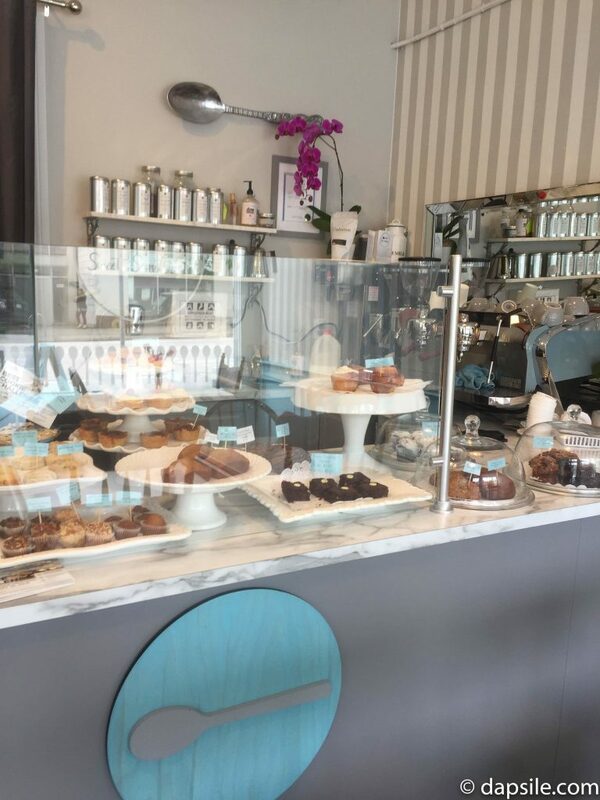 I never would have found or tried any of these places and I would have forever missed out on the great food and desserts they make. 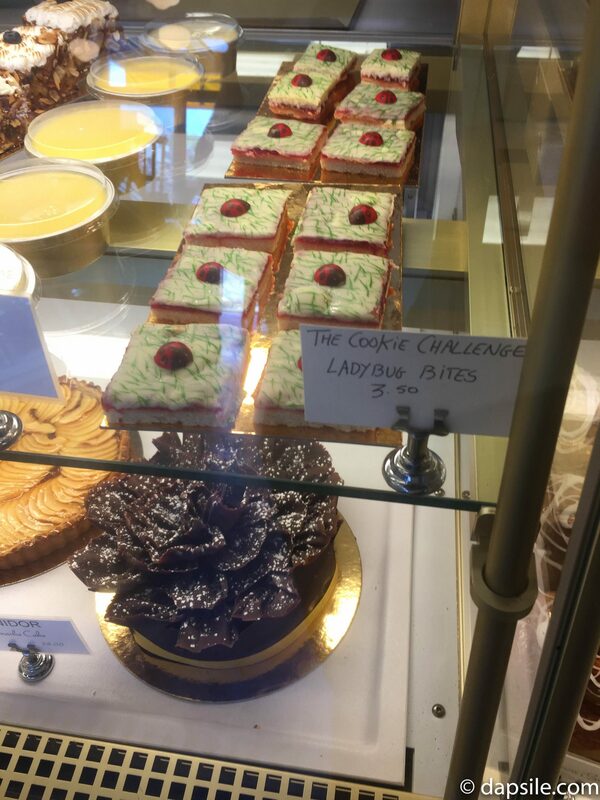 I’ll also now be taking part in more of the Vancouver Foodster challenges after having such a wonderful experience with the cookie challenge. 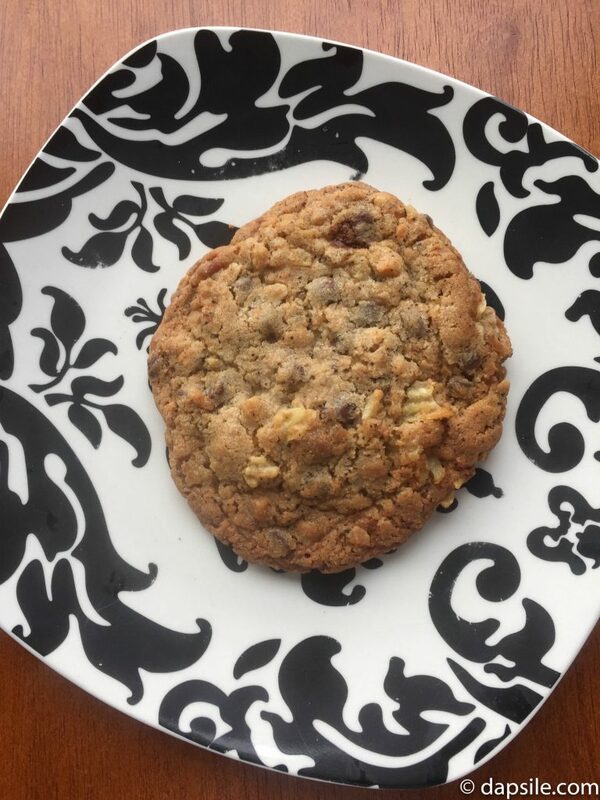 The Cookie Challenge of 2018 runs until May 12th so you still have time to enjoy these baked treats and vote for your favourite. Enjoy! Note: I will apologize for not having enough photos of treats as well as all the shops but I won’t apologize for eating the wonderful items before I could take a picture. Sometimes my sugar fix took over and the drool as well as the fuzzy, obsessive brain made me forget to take pictures. I hope to work on that and do better in the future. I can’t make promises though.